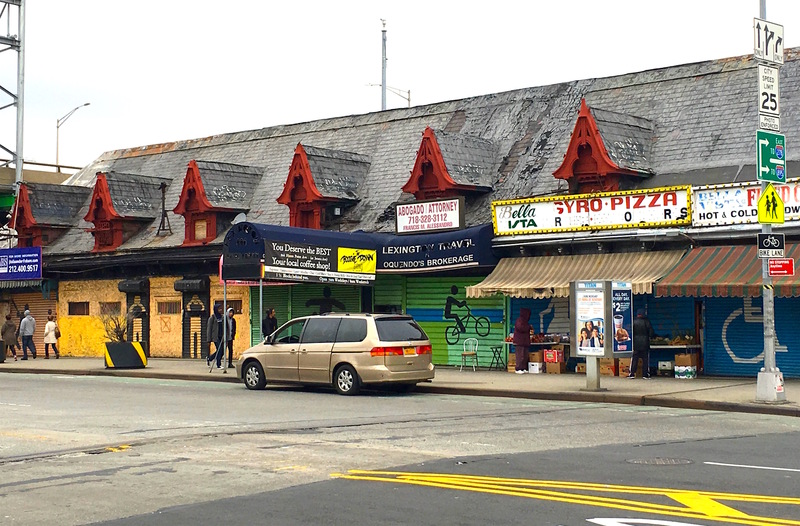 It’s a strip mall that’s seen better days—a long, two-story shell of a building housing a chicken joint, a pizza and gyro shop, and a couple of other businesses in the shadow of the Bronx’s Bruckner Expressway. But a closer look reveals some curious details—like the pointed dormer windows set inside a barn-like sloping roof. This stretch of retail had to start out as something more majestic. 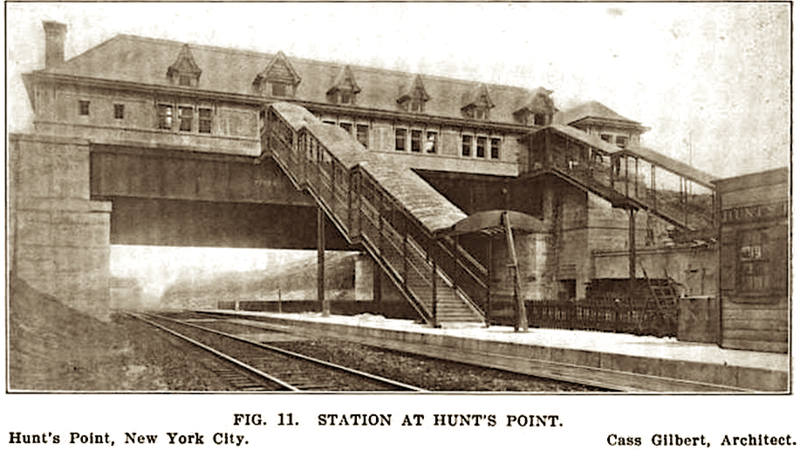 Turns out it did: It was the Hunt’s Point Avenue railroad station, built in 1909 by the New York, New Haven, and Hartford Railroad—which anticipated a huge demand for train service in the once-bucolic Bronx, thanks to subway development and a population boom. An even biggest surprise than seeing the remains of such a lovely station is the name of the architect behind it: Cass Gilbert, better known for the Woolworth Building and the Custom House at the foot of Broadway, among other architectural beauties. The station is one of nine train stations Gilbert designed in the Bronx, and he seemed to have a lot of fun with this one. The station connected commuters to Grand Central until the 1930s, when a lack of passengers made it financially impossible to keep open. 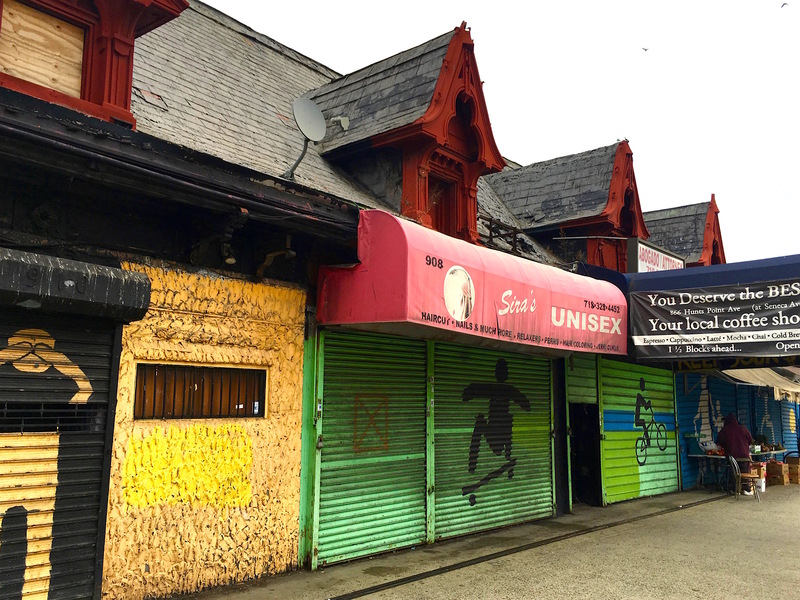 At some point, it was repurposed for retail, it’s ornaments stripped off or obscured beneath 1970s-style roll-down gates and a hulking freeway. 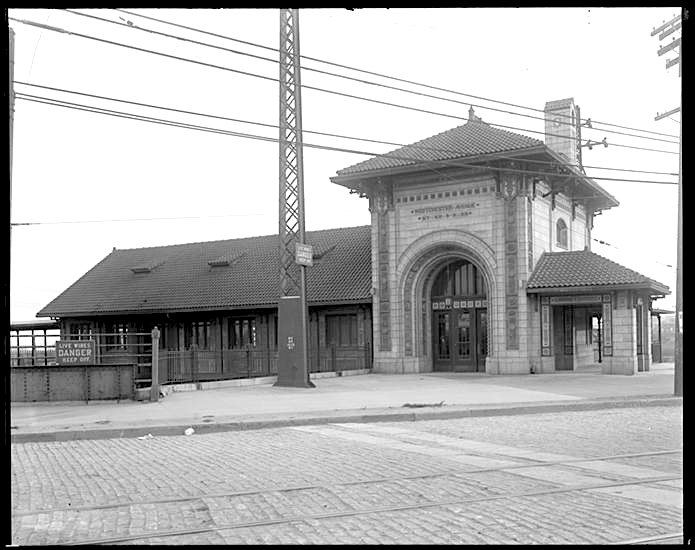 Another of Gilbert’s Bronx railroad station also pretty much lies in ruin: the Westchester Avenue station. 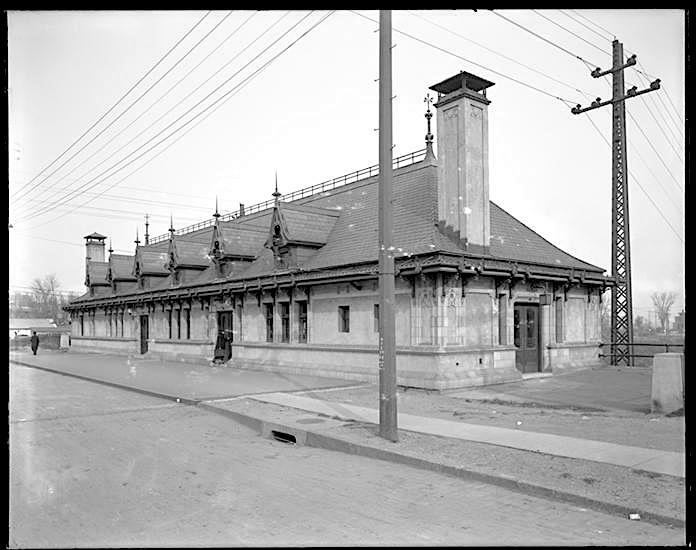 This terra cotta jewel was built in 1908 by the same railroad and it too shut down in the 1930s. 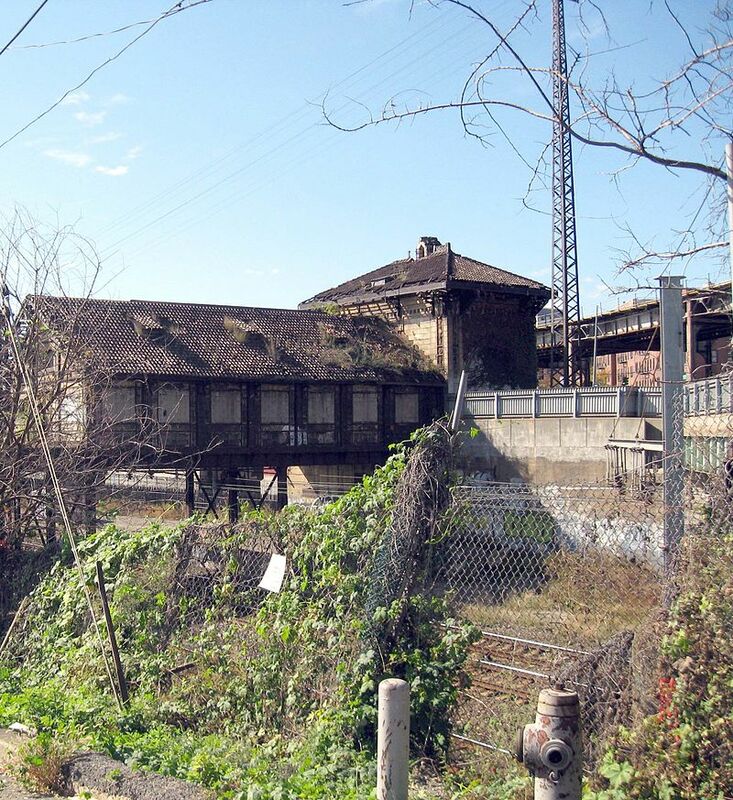 Today it remains under the Bronx’s Sheridan Expressway and besides Concrete Plant Park, abandoned.